Owners of an apartment in a high-rise building, along with the cherished housing, also receive a weighty problem - poor sound insulation. Just a few years ago it was quite difficult to isolate oneself from the neighbors above. But, thanks to the rapidly growing technologies and the emergence of innovative materials, it is possible to significantly limit or completely solve the problem associated with the penetration of sounds from the outside. The best way out would be the soundproofing of the stretch ceiling in the apartment. For its organization does not need to invest and spend large sums, since all the work can be done independently. Before considering all the options , technologies and materials, it is worth deciding which sounds interfere in most cases. It is no secret to anyone that there is a huge amount of noise and sounds in the world. This allowed us to make a separation depending on the causes of noise and their strength. Your attention should be focused on the sounds that are heard from the neighbors above. 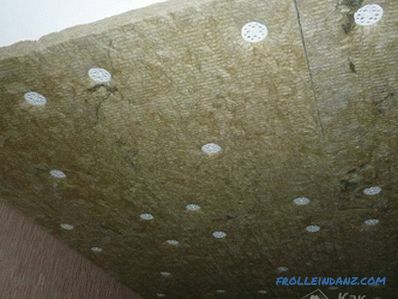 When choosing a stretch ceiling for decorating the surface, the process of noise insulation can be greatly facilitated, since any material can be hidden inside the structure. Extraneous noise will disappear only in porous and friable materials, if we talk about solid structures, they, on the contrary, do not dampen the sound. 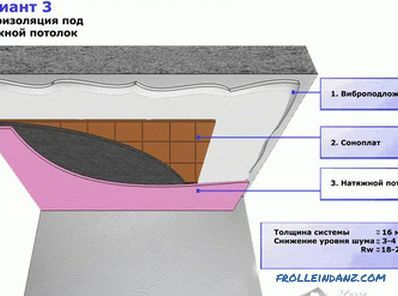 In addition, it is important to note that even a small layer of air between the base of the ceiling and the tension film will contribute to the absorption of noise. Sound insulation of only the stretch ceiling in the apartment will not always help to solve the problem. In some cases, it is worthwhile to carry out additional protection of the walls and the floor, since sounds penetrate from all sides. Start considering this issue It comes from what materials manufacturers offer stretch ceilings as soundproof. These include finely perforated sheets of the acoustic type. Due to their structure, they are able to delay sounds. 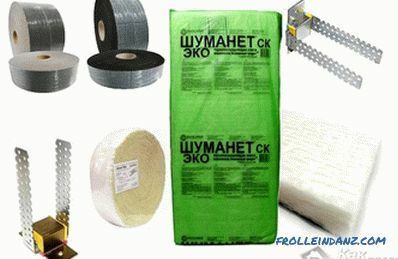 But, nevertheless, in order to achieve greater efficiency, it is worthwhile to choose a suitable noise insulating material under the stretch ceiling. Do not forget about the possibility of flooding from above. 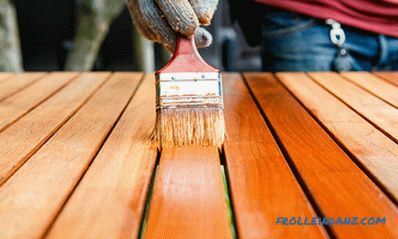 In this case, it is worthwhile to take care of the protection not only of your home, since the PVC film fulfills this role, but also of sound-proofing material. In this case, the insulation provides for the inclusion of a vapor barrier and waterproofing. Choosing material for sound insulation It is important to carefully study the sound absorption coefficient. 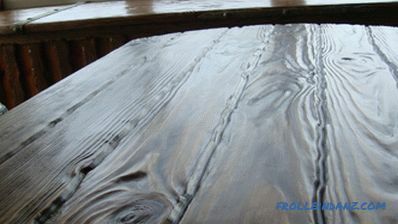 For example, wind-proof materials do the worst job. 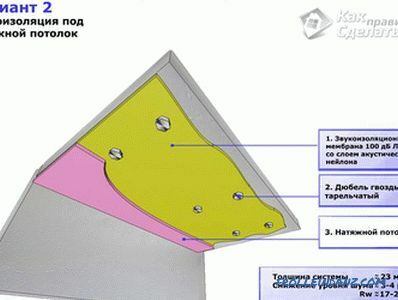 After the material has been selected, you can proceed to the installation of the frame itself. 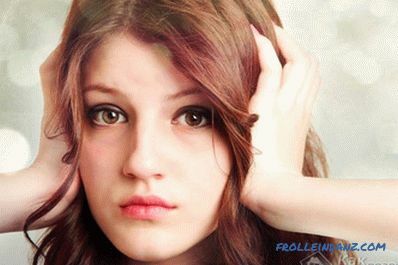 In this case, you should carefully study everything and avoid mistakes, one of which is to fix the profile directly to the walls. If you want to equip a simple stretch ceiling that will be enough, but the effectiveness of sound insulation will be minimized. To avoid this and complete all installation steps correctly, you will need a damper tape - this available material. 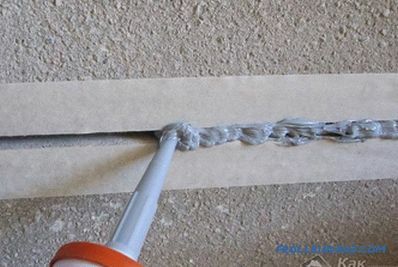 The peculiarity consists in the following: when fixing the structure to the walls, it is necessary to lay a tape between the profile and the wall. 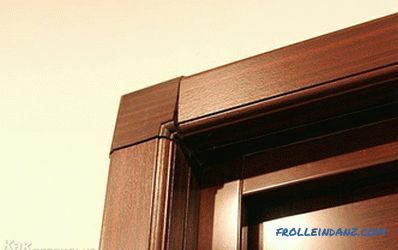 Durability will not suffer, but the profile will not directly come into contact with the surface, which means that the sound insulation will be increased. Only insignificant noises and sounds will be transmitted to the structure itself. 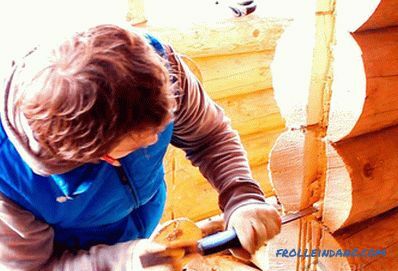 You can do the installation of the frame and the sound insulation device with your own hands, since special difficulties even for beginners in the construction business should not arise. Before you start work, it is worth taking measurements and calculate: how much lower the ceiling will be, and whether it will create discomfort. 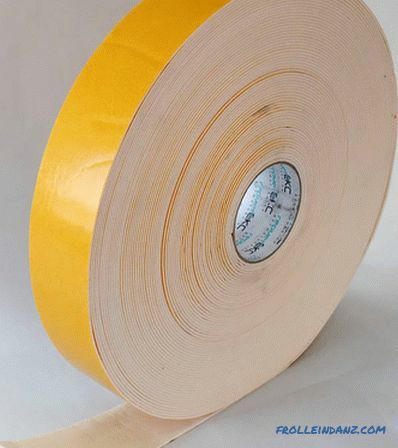 It is not necessary to level the surface itself, since the stretched film will hide all the flaws and defects. Loud sounds very often penetrate through the engineering networks: ventilation, heating and sewage. 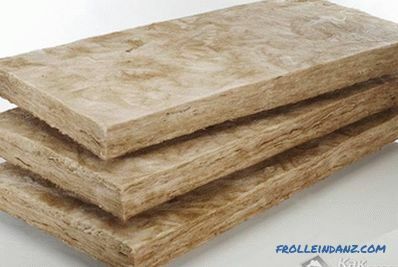 It should be considered, with the help of what materials it is possible to provide their sound insulation. 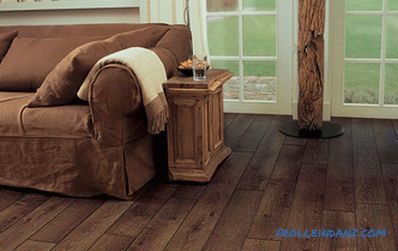 In the next step, the installation of the selected sound insulation material is carried out directly. The method of attachment will depend on your choice. So, it is enough to glue some materials with glue, while for others it will be necessary to construct a special frame or holders. Place foam sheets in a checkerboard pattern. First, glue is applied to the sheet, and then it is applied to the ceiling and fixed well with two hands. 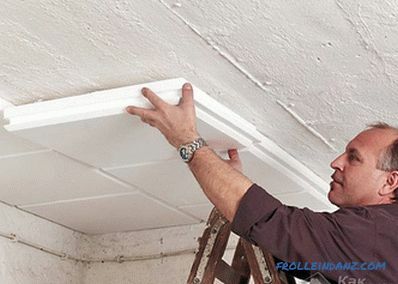 After the entire ceiling is glued, it is necessary to make additional fixation with the help of dowel fungi. 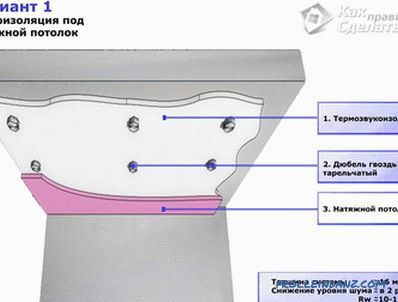 For the result to be as efficient as possible, the elements must be tightly and tightly connected to each other and not have gaps at the joints. When the entire ceiling surface is completely sewn up, you can proceed to the mounting of electrical wiring and other networks, and then proceed to the direct installation of the stretch ceiling. It is worth careful installation of electrical wiring, especially if a material with a high level of flammability was chosen for sound insulation. A fairly simple installation scheme, a wide choice of materials and a small amount of time will allow everyone to create a beautiful, durable and soundproof ceiling in their apartment.